plus performances at major festivals and an exciting new commission! 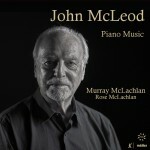 Apart from these CD releases McLeod’s music continues to create interest at major festivals and elsewhere. 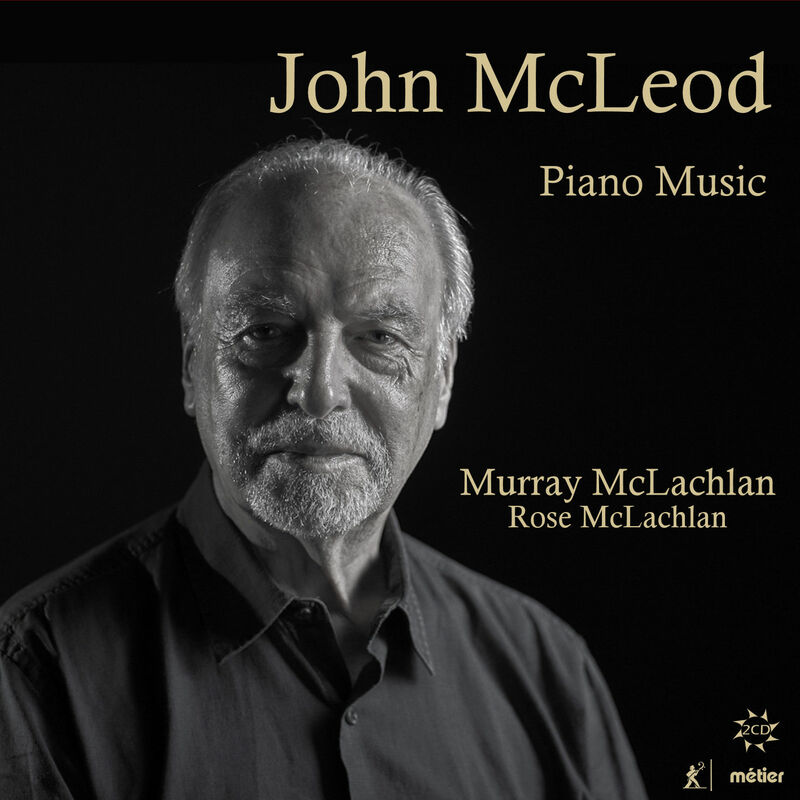 Malaysian pianist Bobby Chen will be performing McLeod’s Three Protest Pieces at the Ulverston International Festival on 14th June. 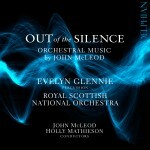 Then on 25th June the outstanding young British guitarist, Michael Butten will play McLeod’s Fantasy on themes from Britten’s ‘Gloriana’ at the St Magnus International Festival (Orkney) – repeating it later in the final of the New Elizabethan Award at the Royal Academy of Music, London on 6th July. 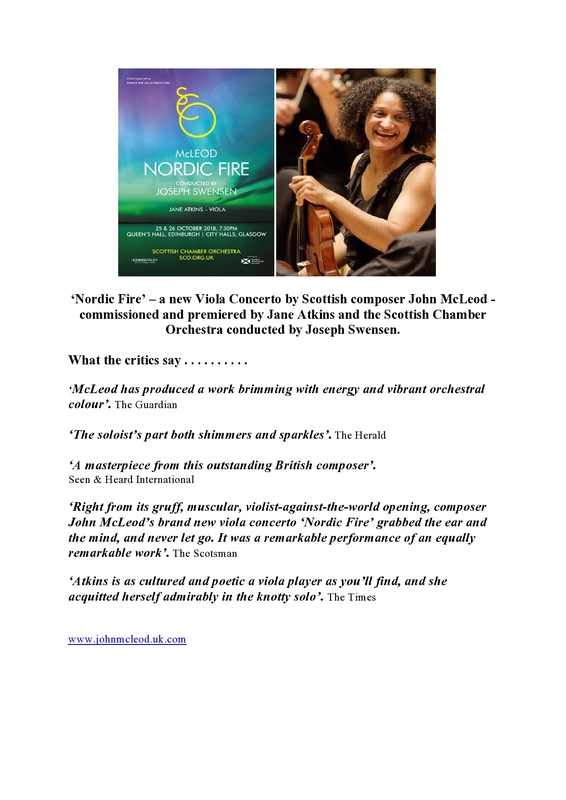 Looking ahead – 25th October (Queen’s Hall, Edinburgh) and 26th October (City Halls, Glasgow) sees the first performances of McLeod’s Nordic Fire – Concerto for Viola and Orchestra commissioned by the SCO for the brilliant viola player Jane Atkins. The title refers to the amazing light, colour and energy of the aurora borealis – that natural electrical phenomenon characterized by the appearance of streamers of reddish or greenish light in the sky, especially near the northern magnetic pole. It will be conducted by Joseph Swensen.